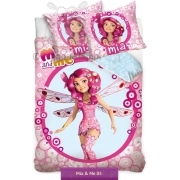 Mia and Me kids bedding collection with quilt size 140x200 and 160x200 with characters from animated series Mia and Me – kids story about Mia and her friends Mo and Yuko and unicorns Liria and Onacho from magic world Centopia. 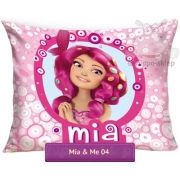 License bedding for kids size 140x200 cm 160x200 cm and pillowcase 70x80 cm, made from 100% cotton, certified safety according to standard Oeko-tex 100. 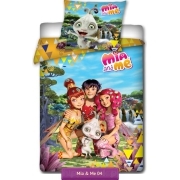 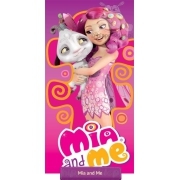 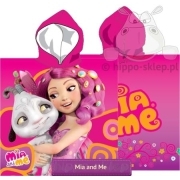 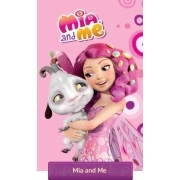 Towels for kids Mia and Me beach towel, blankets and accessories with characters from the series Mia and Me can be practical gifts for little girls who love fairy tale series about Mia adventures.